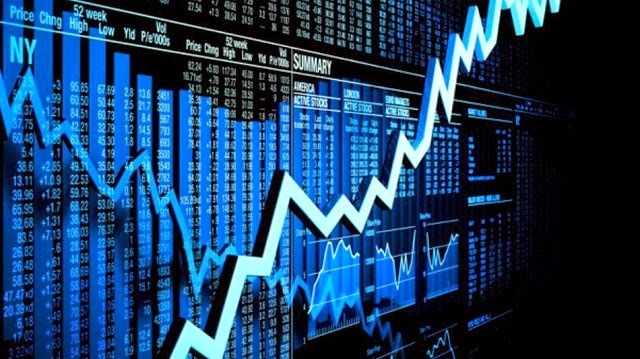 The stock market is one of the most lucrative markets, which enable people to build long term wealth. However, it also carries a great risk so people need to keep a long view to minimize their risk as much as possible. In simple terms, stock represent part ownership in a firm and shares are bought by investors for exercising ownership rights, collecting dividends and benefiting from long-term capital gains. However, the goal of traders is quite different as their goal is to make a profit in the short term through trading of stocks. In order to accomplish this, they use a variety of techniques and tools to help them in protecting their capital and reducing risk. 1- First and foremost, you have to learn the art of reading charts. You will find various resources online that are designed to aid beginners in reading charts. The difference between owning a stock and earning money via trading it is usually associated with understanding price action in terms of oscillators, moving averages and candlestick patterns and figuring out some good entry points. You need to focus on how a buy and sell signal can be identified. 2- Take advantage of simulation. The movements of the stock market are rather mysterious and only experience can give you an insight into it. Before actually starting trading, you can use a simulator for getting a feel of the market, learning how stocks fluctuate and responding to news. This kind of experience cannot be obtained even by back-testing a strategy. While the gains in a simulator may not be real, the best part is that losses aren’t either. 3- Opt to scale into positions. Even the most experienced traders prefer to scale into a position rather than trying to time the exact bottoms and tops in stocks. This means that they purchase incrementally for taking advantage of lowering pricing and reducing risks. For effective scaling, you have to understand how much total capital will be allocated to the stock. 4- There are times when the best defense can also become a good offense so you can swing trade. Creating a good strategy and then following it will increase the odds of succeeding and get you to an exit position before a lot of damage is done. It is better to start out with larger frames and only move towards short-term strategies and day trading when larger gyrations have been mastered. 5- As a trader, you can use a number of tools to help you in making your decisions regarding a stock. For instance, one of the most popular tools is algorates, which has become a standard in the financial market. It is good in predicting the ups and downs of the market, which can impact one’s decisions. Moshe Margalit is behind the concept of algorates and was able to use it successfully. You can be like Moshe Margalit from algorates and become a good trader in the financial market.